The publisher sent this reviewer a copy of the book. We are taking part in a blog tour to promote For the Good of Mankind. According to Wittenstein, For most of early history, practicing sound medicine was not distinguishable from experimenting. There was just so much about the human body doctors did not understand. The experimenting that was happening was conducted for "therapeutic purposes, where doctors intended a direct benefit for the patient. After all, the Hippocratic Oath, written about 4790 to 360 B.C.E. stated, "Primum non nocere" First of all, to do no harm. But around the 1700's, in hopes of finding cures for diseases such as smallpox, doctors began stepping over that fine line and upped the risks by experimenting on healthy people -- including children and African Americans -- exposing them to diseases, without their knowledge or consent. Though created as a framework for medical ethics and the laws regarding human medical experimentation, The Nuremberg Code came out of the Nuremberg Trials (October 1946 to April 1949) set up to prosecute those Nazi doctors who practiced horrific experiments on individuals held in the concentration camps in Germany during World War Two. Still, despite the Nuremberg Code and other laws that are created to protect human subjects, experimentation without consent or full knowledge of the outcome still continues. In five chapters, Wittenstein's narrative describes a wide range of unethical and immoral medical behavior on the part of researchers, doctors and other medical staff, and government officials. She covers specific experiments on viruses, such as Hepatitis and Syphilis, and the shady business of medical research for new drugs. Deepening the readers experience are sidebars with more details about what is discussed in the text, and illustrated throughout with black & white historical photos. The author, a prosecutor and advocate for children and young adults, ends the book with, "What Do You Think?” She offers a brief paragraph with scenarios and questions to encourage students to think beyond the text about this highly emotional topic. 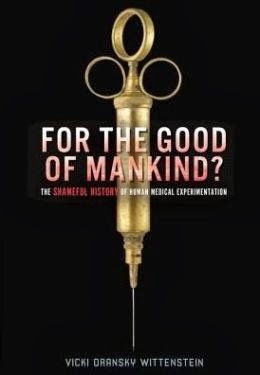 Give this to middle or high school students studying the ethics of medical experimentations. Back matter includes source notes, selected bibliography, additional information of books, websites, films, and interviews, and index. Visit the author's website for more information, and a free discussion guide. 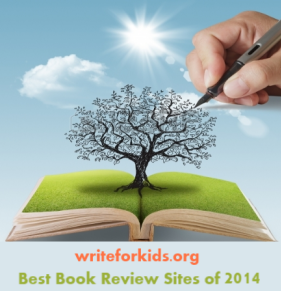 To read what other bloggers have to say about Wittenstein's book, visit these sites. Thanks for your review, Louise. I hope the book will challenge readers to view history through a different lens, to develop their own moral compasses, and to not forsake what they believe in.